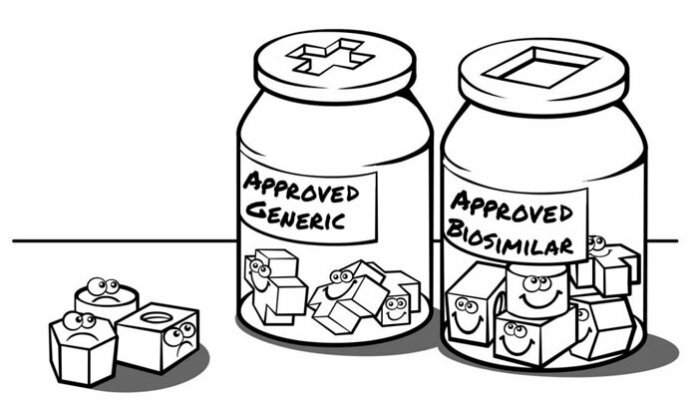 When a biosimilar is compared to a generic product, it should be realized that the time taken for the development of the biosimilar takes 6-9 years whereas the development of the generic product usually takes anywhere between 1-3 years only. As far as the development costs are concerned, estimates for biosimilar ranges from US $20-300 million depending on whether a plant has to be developed. Customary generics’ costs around US $1-4 million. Biosimilar imbibes a great cost in its development as it entails sophisticated technologies and methods which eventually increases the riskiness of investment. In addition, there is a great deal of price difference between the biosimilar and its reference biological product itself. Various factors such as cost of development, prescriber disquiets followed by entry hurdles and the degree of competition helps to understand the price difference including discounts between the biosimilar and the reference biological product. It is a usual practice observed that most of the originator companies reduce the prices or start offering great discounts giving tough time to the biosimilar manufacturers. From the health economics angle, a question arises whether essential differences are observed between the biological reference product and the biosimilar with respect to the purity, efficacy and safety. This question remains unanswered till date. If effectiveness is not compromised at reduced cost then biosimilar can be suggested. If the biopharmaceutical and the biologics are not interchangeable, the savings ascending from biosimilar need to be evaluated against the impact on effectiveness and the cost of therapy. A poorer efficacy of a biosimilar possibly will result in the need for added therapy or hospitalization and may entail that the patient necessities to take additional time off work. In such cases an economic evaluation of the biosimilar is crucial. During the economic evaluation, the incremental cost-effectiveness ratio (ICER) of the intervention is calculated relative to the appropriate comparator. If the comparator includes a biological reference product and a biosimilar, the price of which one should be used to value costs? This decision is likely to have an influence on the cost effectiveness of the intervention. Many countries have specific guidelines laid down that serve as standards for planning and conducting the economic evaluation but no guidelines state whether the valuation of comparator costs should be based on the price of the reference biopharmaceutical product or the biosimilar. According to the report from American Action Forum (AAF), reimbursement policy for biosimilars will have a negative consequences for patients. In recognition that biosimilars are not simply generic versions of biologicals, the Biologics Price Competition and Innovation Act was included in the Affordable Care Act (ACA) to establish a different pathway for approval through the FDA and a different methodology for reimbursement from CMS. 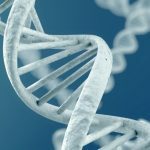 The law directs that biosimilars be paid based on 100 percent of their volume-weighted Average Sales Price (ASP) plus 6 percent of their reference product’s ASP. Biosimilars were given this more favorable add-on to the reimbursement rate in recognition as they are more expensive to produce than small molecule generics. Undoubtedly, biosimilar industry has been growing exceptionally in regions such as Europe, US, Japan and South Korea. A million dollar question stands tall is the scenario of biosimilars in India. In the year June 2015, Ahmedabad-based pharma major Intas Pharmaceuticals launched first biosimilar in India named Razumab, a biosimilar to Lucentis (ranibizumab) to treat degenerative conditions of the eye. A Deloitte survey done in India found out that physicians are willing to prescribe a first-line critical therapy if it was offered at a 60 to 70 percent discount. Access to affordable biologics in India is still poor. The engagement and the advocacy from payer in favor of biosimilars is very low. Prescribers in India are partially open to prescribing biosimilars when compared to the biopharmaceutical reference product as well as the patient’s attitude towards biosimilar in India is found to be moderate. While Indian companies have launched a few such products in the domestic market, where regulatory barriers are relatively low, they are being overtaken by European, American and South Korean firms in the race to supply profitable Western markets.